I’ve just finished editing one manuscript and I’m plotting two others, so I’m busy thinking about the structure of writing. How do books come together, especially if you are planning a series? How can I structure my outline so it’s still fresh, yet I can think about achieving something like NANOWRIMO? How does foreshadowing work and can I use it, not just in a book, but in a series format? What is a happy ending? Jenny Hansen always has something interesting to say, whether it’s funny or poignant or just plain practical advice. Check out Jenny on the fabulous Writers in the Storm and find out how her husbands knee injury got her thinking about writing. 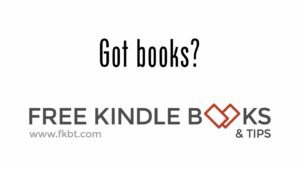 Thinking about NANOWRIMO? Here are some tips from Nano expert Jessica Brody. And watch the video, that’s where she explains how she rocks each tip and cranks out her word count. Even if you aren’t going to attempt Nano, this is a great way to increase your word count and get those evil editors off of your shoulders. At least for the first draft. As I struggle with the last edits on book one in my three book series, I am also plotting book two, and doing so has got me thinking about how to tie all three books together in a way that is fufilling to readers. Should I be outlining book three at the same time so I can lay the foreshadowing in book one? What is foreshadowing and how is it different from telegraphing? Check out Rachelle Gardner’s post and find out. And no, she isn’t doing anything so complex as talking about three books at once. Just one, but it’s well worth the drop by. Just for fun (no, this has nothing to do with writing) I’m leaving you with my favorite music video of the month. This one cracked me up. And it’s great to sing in the car, once you can get the words down! What are you working on this month? Outlining? Editing? Just trying to get those words down on the page? Share your favorite posts with me, I’m still looking for more great tips! I love Jenny Hansen’s posts. She’s a hoot. 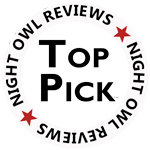 I’ll check out Rachelle Gardner’s. Thanks. Rachelle usually has something interesting. Have fun! Awwww, thanks ladies…y’all are the BEST! Great post, Jessica. I’m working on revisions and it’s killing me. 😉 Maybe I’ll see you next weekend? I’ll be at the Heart of Denver one day conference. Yes! I am so excited to see Shirley Jump! It will be great to see you there too. Thanks for sharing these blogs, Jessica. Looks interesting. I’ve decided to do a series of books related to games with Finn the elf as the thread that ties them together. Now that you’re talking about it, I guess I do have a bit of foreshadowing in book 1 as far as Finn goes, but it’s very vague, even to me! I see how I could perhaps work with it though. Thanks for the inspiration! That foreshadowing thing is complicated when you are working with a complex series. I am also going to start a series bible so I can keep track of all my information. So many characters and different species and magics, and then there are the ages and world building. Oh yeah, the foreshadowing, again! I love your books with Finn, he’s definitely an interesting catalyst for your stories. When does Rhapsody come out? I love this type of post, Jessica, as the Internet is so broad that it’s impossible for one person to find all the treat writing stuff out there. Also sharing is one of those great kindergarten lessons. Thanks so much for this. 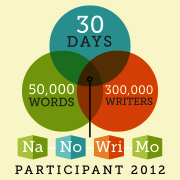 I am especially intrigued by the NaNoWriMo one! Well, that’s the NANOWRIMO website. It has some good stuff on there, some great blogs and some training pieces on how to get ready for NANO. Plotting, at least a little, seems to be the key. Outlining and writing! Finishing up my new novel and outlining for Nano! My goal is to finish the current project before November 1. Good for you! I’m finally finished with my other project and working on the outlining for Nano. I’m sure you will be all set by November 1st! You have excellent taste in videos. *Grins* Thanks for sharing the links!